On 26th January 2019 OBG will celebrate 30 years since it's inaugural General Meeting in 1989. Delving deep into OBG's records to check when the group started produced a real treasure trove of information from the early days of campaigning to protect the badger. 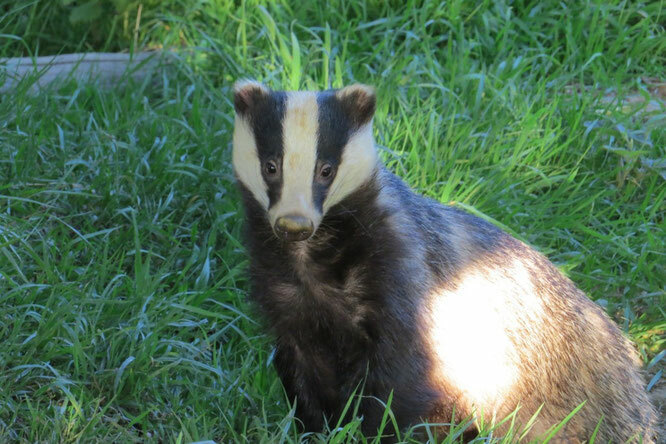 Efforts to establish an Oxfordshire Group began in the summer of 1988.The neighbouring Berks & Binfield Badger groups were already members of The National Federation of Badger Groups. The plight of badgers was grim. Gassing, hunting, dog-baiting and snaring were rife. Fox hunting was still legal and sett blocking was commonplace. Badgers were being culling at massive cost despite public opposition. Hence specialist action groups were being formed across the UK specifically to look out for this iconic native animal. The Berks, Bucks Oxon Naturalist Trust (BBONT) County Officer for Oxford teamed up with our first Chair, Pat Wixey. They began publicising the plight of badgers and seeking like minded potential members. The first meeting was held Weds 26th October 1988 in the offices of BBONT at Rose Hill Oxford. A steering Group of 5 volunteers was formed, 4 of whom had never seen a live badger. They went on to organise an inaugural General Meeting on 26th January 1989 at which a model Constitution was agreed and officers elected. 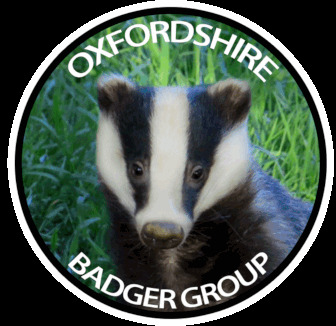 As at 20 April 1989 OBG joined the Badger Trust which had been formed to coordinate the National Federation of Badger Groups. Then as now, funding was tight, with much being achieved on little. OBG accounts for the first year showed a proud surplus of 156.19 ! It is good to see how OBG has worked closely with the Badger Trust, local Wildlife Trusts and neighbouring badger groups from the start. Bucks Badger Group helped by providing sett record form templates. BBONT staff helped drive the formation of the Badger Group and provided initial office and other organisational support and training. Early links were forged with the RSPCA, local wildlife crime officers and the League Against Cruel Sports. Records show that an early concern was badger road casualties as the county became more developed and (theoretically) higher speed road networks grew. Even 30 years ago it was recognised that climate change could severely impact badger populations. That threat may well continue to grow. Many badgers - especially the very young and old - suffered from dehydration and hunger during last years long dry spell. From the very earliest days, OBG recognised the importance of accurate sett records and surveying. They started to go out and systematically map the county. Within two years they had mapped a 100 setts. They created an archive of record cards and notebooks that were later transferred to an electronic spreadsheet. That valuable legacy that has been handed down and is still the core recording tool today. In 2017 DEFRA effectively opened most of England to culling. Fearing the cull might come to Oxfordshire re-kindled the drive to extend and update sett records. Richard Tilley coordinated a major sett mapping/ update effort which reported on 150 setts - updating known setts and recording many new ones. At the AGM in October Debbie White took over that duty from Richard. The work of our sett surveyors and that of the many people who report local setts, RTAs and sightings is received by our sett records officer Barbara Witkowski. She has updated and cleaned over 2000 individual sett records to forge a very valuable and reliable tool. Our present Chair, Julia Hammett is minuted as attending her first OBG committee meeting on the 7th November 1994. She feels very fortunate to have known and worked with the first wave of OBG volunteers, many of whom are now honorary members and keep a watching - if retired - eye on our activities. This year Julia will clock up her own 25 years of experience in the field and she shows no sign of stopping 'badgering' on behalf of her beloved badgers ! The plight of the badger gradually improved. Badgers were given limited protection in 1973 but badger setts could still be dug, bulldozed, blocked or the animals cruelly killed. The Badger Protection Act came fully into force in 1992. The Hunting Act followed in 2004. Culling was ended after the RCT report concluded that killing badgers would make "no meaningful contribution' to BTB control. Yet there have been recent setbacks. The Badger Act licencing system remains in force but its effectiveness - from our perspective - has been greatly diluted. Natural England now seems to prioritise facilitating the development and culling agenda. The Local wildlife crime officers do a great job and are very supportive but funding and staffing cuts have reduced both the time available and the immediacy with which they can respond. Culling was introduced as a 'pilot' that now looks be a planned to be a permanent, widespread activity with a staggering, heart rending record tally of 32,000 badgers killed in 2018. With culling comes an unwelcome and unjustified demonisation of badgers and and likely increases in wildlife crime rates. So Badgers still have People Problems and people still have Badger Problems. The need for OBG to speak out and act as an effective advocate for badgers and their habitats is as great as ever. Emily Lawrence has been tireless in organising meetings and events, raising awareness and winning publicity. Local wildlife photographer Alex White who blogs @AppletonWild has donated many wonderful badger images to enliven our website and publications, not least our iconic 'Cookie' logo who looks at home in all her many adventurous Settings. We are pleased to still have strong working links with Dominic Dyer and the Badger Trust, our neighbouring badger groups and many key organisations. These include several dedicated wildlife rescue centres who've helped with rescue calls. We have excellent working links with Thames Valley Environmental Records Centre (TVERC) which allow us to share confidential data. BBONT is now the Berkshire Buckinghamshire and Oxfordshire Wildlife Trust. BBOWT is currently advising us on how to run a successful vaccination programme. Vaccination seems the "new" best way to try and prevent the culling of our badgers and looks likely to dominate our efforts for years to come. We are however determined this will not be detrimental to our 'regular' activities. So we've been delighted by the wholehearted response to our call for new volunteers and the enthusiasm for a vaccination programme. OBG has so many volunteers and friends now and down the years, apologies to those I've missed mentioning. So the work goes on, aided by mobile phones, geo-positioning apps and mapping software etc. As Secretary, I'm just glad that word processors, laser colour printers email and the internet have replaced the typewriters and paper/ posted newsletters which my predecessors used to such good effect. OBG's founders were not technophobes - they cooped people who had & could handle the new fangled computers. They soon applied for a grant to to provide a dedicated help line - the UK's first mobile telephone network launched in 1985 and the early phones were costly. Badgers don't care for what we call progress, they quietly get on with life, handing their setts and foraging areas down through the long generations. Left alone their lives probably haven't changed much since they arrived here during the Ice Age - though I guess they might miss the peanuts briefly & would certainly choose vaccination over a bullet.